It’s kind of a paradox: Plenty of people fantasize about having a “secret garden” backyard, with flowers blooming throughout the year. How many of those people have the time and will to properly tend to such a garden, however, is another story. At the very least, many people have a favorite flower—even if that flower might be able to kill them and even their pets in as little as a couple of hours. But to some, the thrill of danger is too hard to resist. Just remember to thrill-seek in safe and responsible ways. It’s a tad ironic that the berries famous for Christmas kissing are actually toxic. While mistletoe is unlikely to be lethal, medical attention should still be sought in the event of accidental ingestion, such as a child swallowing some during the holidays. 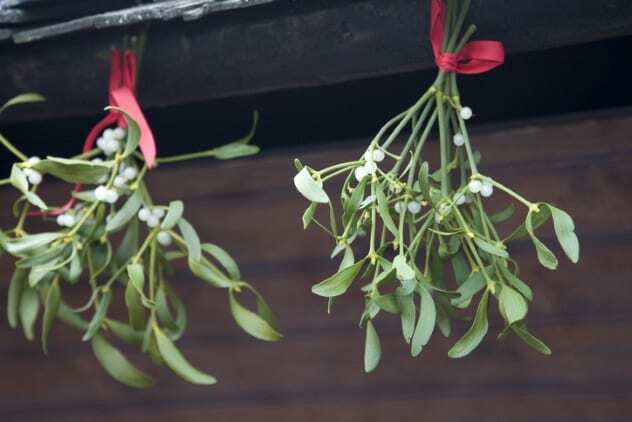 Symptoms of mistletoe poisoning include nausea, blurry vision, and diarrhea. The ancient Greeks believed that mistletoe had the power to bestow fertility and “give life.” Never mind that if you ingested enough, it’d take yours. Scandinavians considered mistletoe a plant of peace and even declared truces under it. Fun fact: Mistletoe is a partial parasite. Surprisingly enough, many toxic flowers can be used to treat the very conditions they cause. For example, while oleander can slow your heart down, it is also used to prevent heart failure. 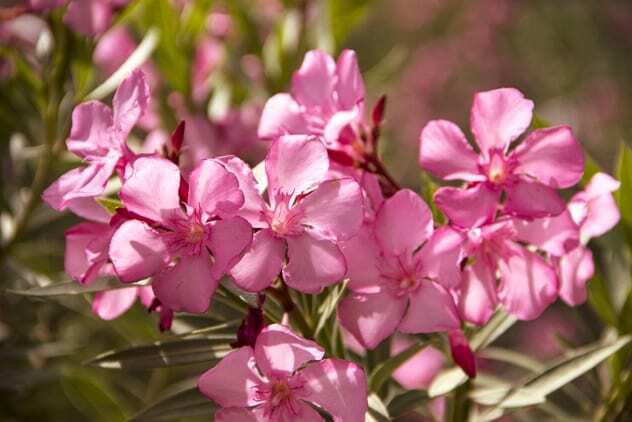 Oleander actually treats many conditions, such as epilepsy, asthma, malaria, and even ringworm. Weird, right? However, if you ingest oleander for nonmedical reasons, you will fall into a bout of stomach pain, rash, disorientation, fainting, irregular heartbeat, and tons of other symptoms. Poisonous substances in oleander include digitoxigenin, neriin, oleandrin, and eleondroside. Nonetheless, despite all these nasty toxins, oleander has been cultivated into more than 300 varieties. Wisteria is absolutely beautiful. There is no denying that. But there’s no denying its toxicity, either. Originating in China, Korea, and Japan (and introduced to the Eastern US), wisteria can bloom pink, purple, white, or blue flowers that droop from the stem, hanging in clumps. If eaten, symptoms will include vomiting, diarrhea, abdominal pain, and depression of the central nervous system. While every part of every plant in this genus is poisonous, the seeds are the worst. 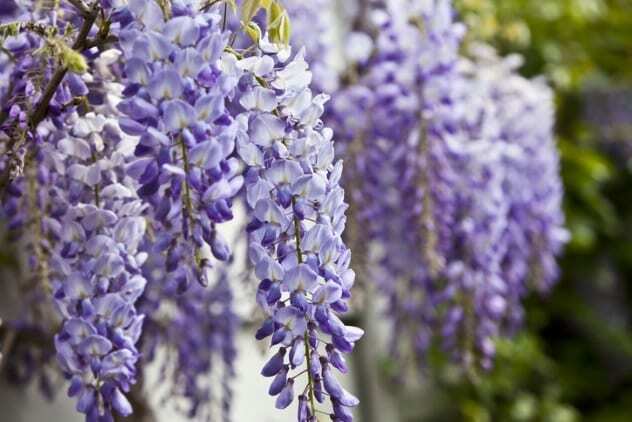 Wisteria is also extremely toxic to cats and dogs. Be mindful of where you place it! 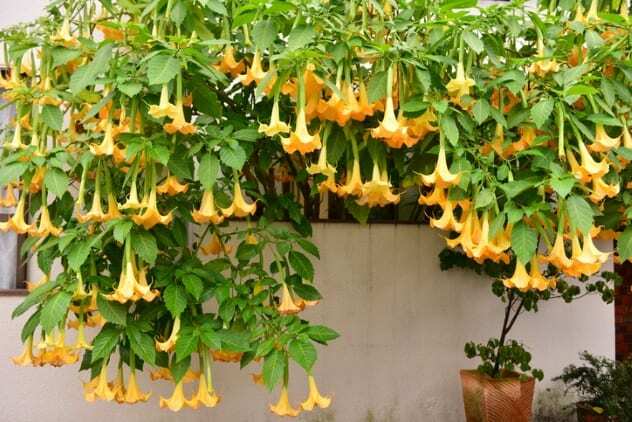 The pendulous flowers of the genus Brugmansia, aka angel’s trumpet, are anything but benign. One bite, and you’ve got painful symptoms such as delirium, hallucinations, diarrhea, vomiting, and pupil problems, among other things like paralysis and even death. Originally native to South America, all species of these flowers are now considered extinct in the wild. However, the genus lives on through cultivation, and a number of hybrids have even been developed. There are many variations of lily, a number of which are poisonous. Most people are familiar with the “stargazer” lily. (That type happens to be my own favorite.) Also, there are a lot of flowers with “lily” in their name that aren’t actually classified as lilies, like the daylily, water lily, and calla lily. Although lilies rank fourth in flower popularity globally, very few people actually know just how poisonous they can be. 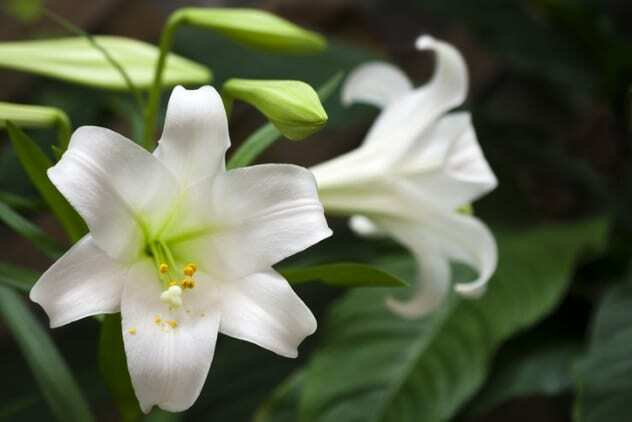 These plants are native to the temperate regions of the Northern Hemisphere, though the Easter lily originated in Japan. Lilies are generally more toxic to animals, especially cats, than humans, but they can be dangerous. On one extreme, the sap of some flowers can cause skin irritation; on the other, ingestion of some species is potentially fatal. It depends on the type of lily, whether a “fake” or “real” lily. Not all are as poisonous as others. All parts of the plants are toxic, but the leaves on the upper stem will kill you the quickest. Delirium, hallucinations, vomiting, convulsions, tremors, and much more are offered by only one bite of a single leaf. 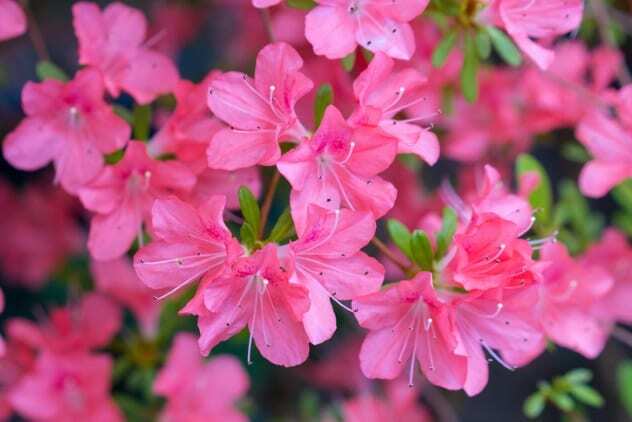 Azaleas are members of the Rhododendron genus and are toxic, very much so to animals like dogs, cats, and horses. Azaleas contain grayanotoxins, which depress the central nervous system and can put you in a coma, or a coffin, if enough is ingested. Azaleas are quite popular in the Southern states of the US, especially on plantations. They largely originate in Asia, but there at least 26 species native to North America, too. Fun fact: Azaleas are the national flower of Nepal and are mentioned in ancient Chinese texts, which praise the flower for its beauty. 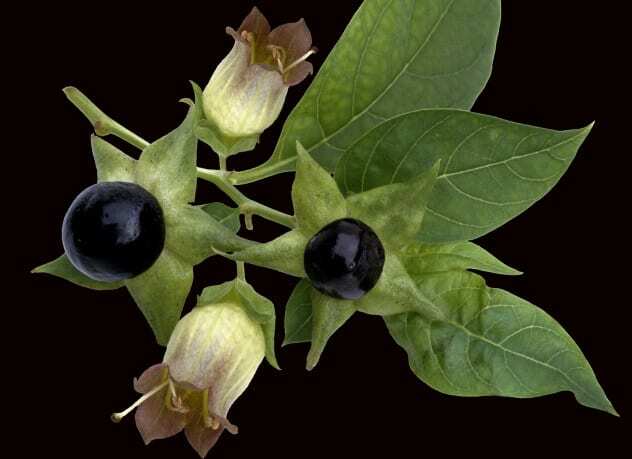 Atropa belladonna, deadly nightshade, Devil’s cherries, belladonna, or whatever you want to call it, originates from Europe, Southwest Asia, and Northwest Africa and is filled to the brim with toxins. Effects of ingesting the berries they produce include thirst, dryness of mouth, delirium, rash, dilated pupils, and stupor. It can paralyze nerve endings in the involuntary muscles of your body, like your blood vessels, gastrointestinal muscles, or your heart. Fun fact: “Belladonna” means “beautiful lady” in Italian because Italian women used belladonna in eye droppers to dilate their pupils, which they believed produced the look of, well, a beautiful lady. You wouldn’t expect this dainty, delicate-looking flower to be as toxic as it truly is. 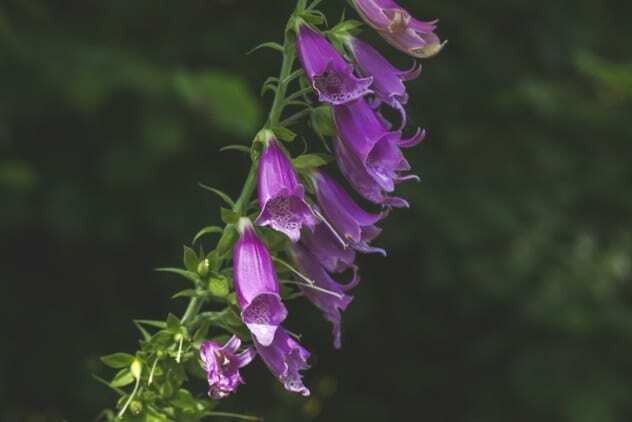 This plant contains 38 different types of cardiac glycosides, which affect (surprise, surprise) the heart. Despite causing vomiting, delusions, and blurred vision, the poison is absorbed into the body slowly, so you do have time get treatment before serious damage occurs. You may also experience severe headache, nausea, slow heart rate, and excessive urination. 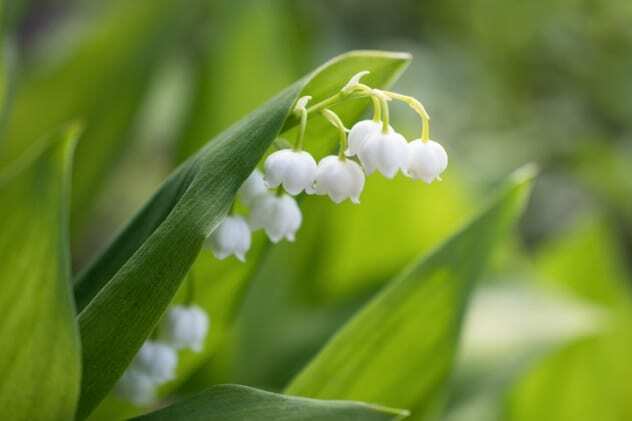 However, if you don’t live in Northern Europe or in America, you don’t have to worry about this, because Convallaria majalis (so this is one of those lilies that aren’t lilies) likes the cool, temperate regions of the Northern Hemisphere. The lacy, deadly poison hemlock (pictured above) happens to hail from Europe and Africa, though it has been introduced to North America, Asia, and Australia. Can’t say “nice to meet you,” though, as even small ingestions of this plant can kill you swiftly. Poison hemlock can cause respiratory collapse to and ultimately death. Water hemlock is even more dangerous than poison hemlock. Actually, water hemlock has the revered title of being the most toxic plant that grows in North America. It will bestow grand mal seizures upon you before claiming your life. 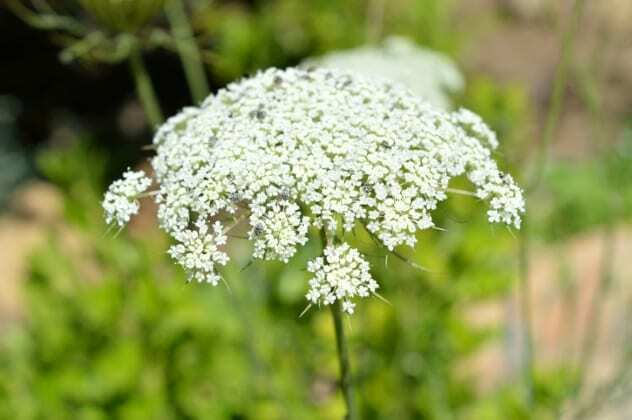 What’s even more rattling is that it’s a relatively common flower; we’ve probably all come across it at some point in time, possibly mistaking it for Queen Anne’s lace. Fun Fact: Poison hemlock is the plant that was used to kill the philosopher Socrates. Born in the Caribbean, but living in America. Read more about the dangerous side of plants on 10 Plants That Want To Kill You and 10 Ingenious Ways Plants Kill.